The popular SP range is constructed of strong, lightweight stainless steel creating a rugged energy efficient range of submersible pumps. 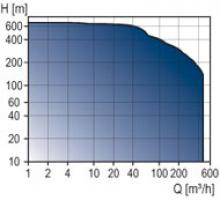 The SP range services flow rates of 0-475mtr³/h. Also featured is the option of the CU 3 control and management system that protects, monitors and puts you in complete control, eliminating the need for constant manual monitoring. With sensors installed, the water table, cost per pumped volume, pump and motor performance can be measured and data can be reported online or to a data logger. Further peace of mind is provided through the extra benefits of dry running, overload, temperature and deposit protection.